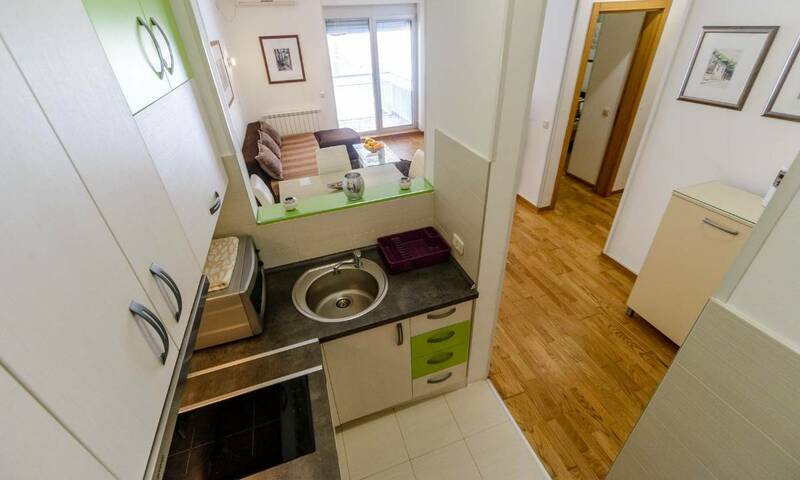 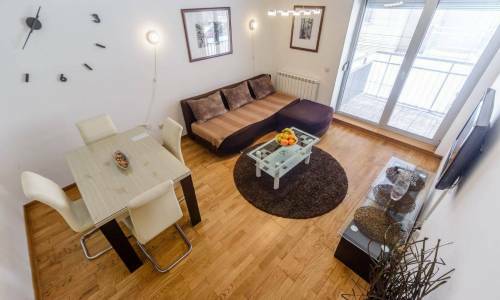 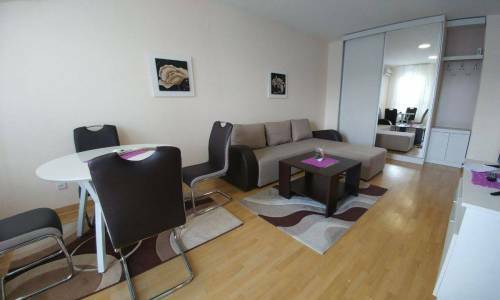 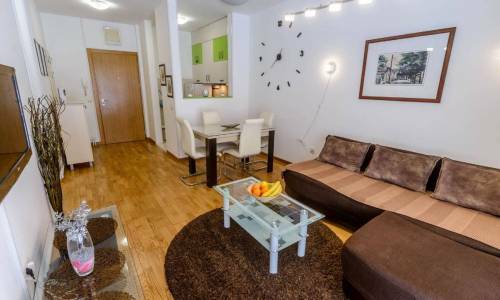 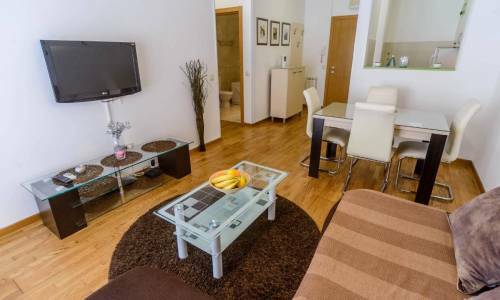 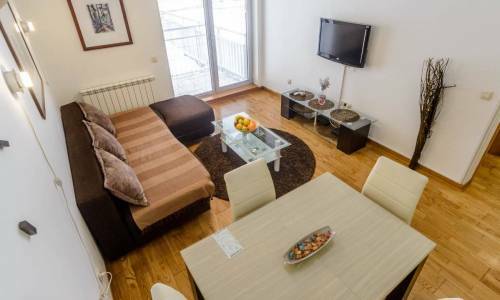 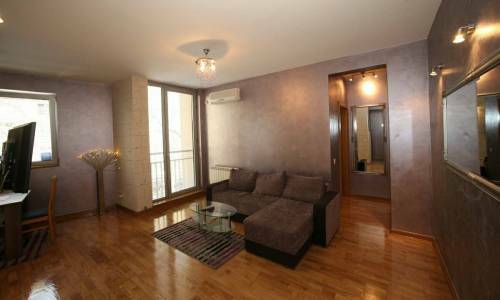 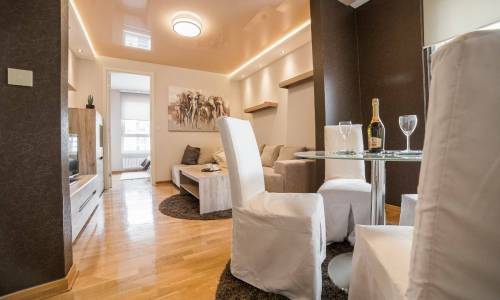 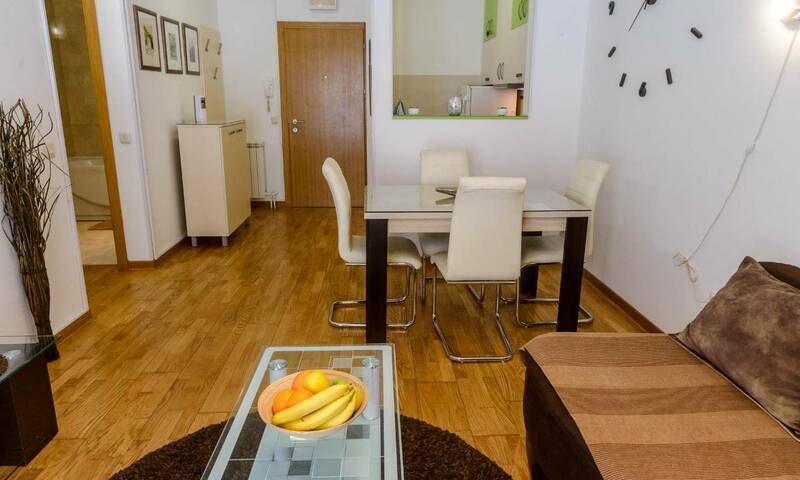 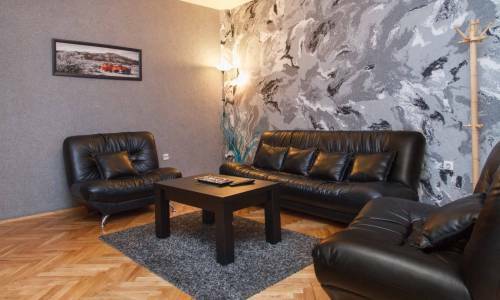 Apartment Zel is a two-room apartment for 4 persons, with a garage, located in the city centre. 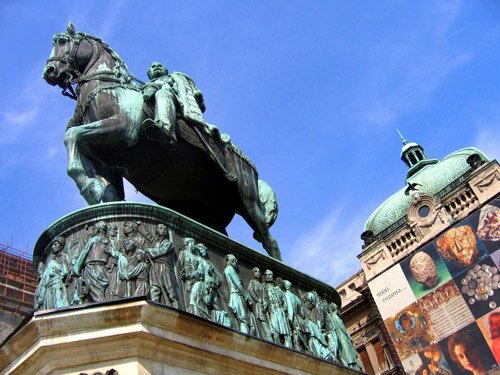 Terazije street is 10 minutes of walking away, and within a few hundred meters you can find the Tasmajdan park, one of the most beautiful parks in Belgrade. 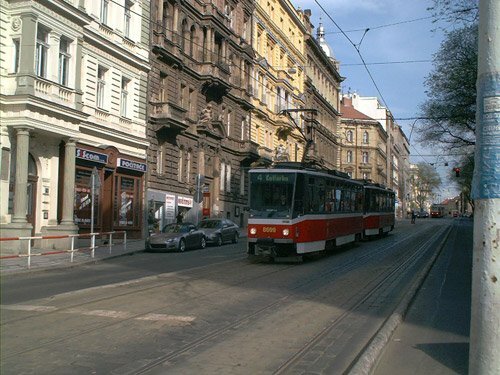 The surrounding area is packed with cafes, stores, restaurants and supermarkets. 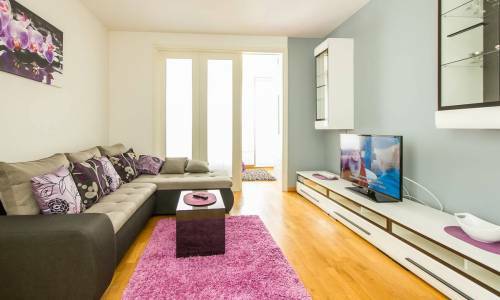 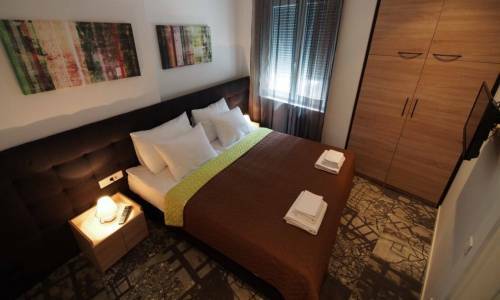 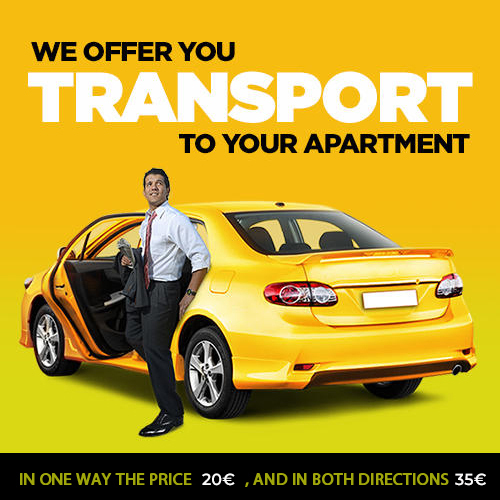 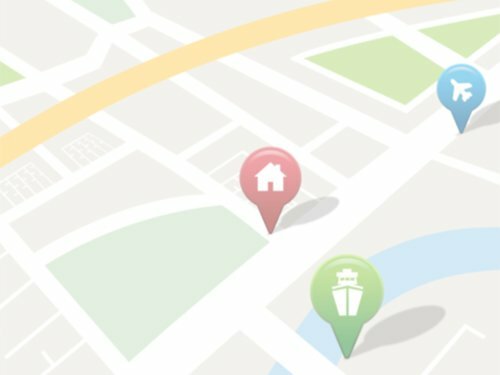 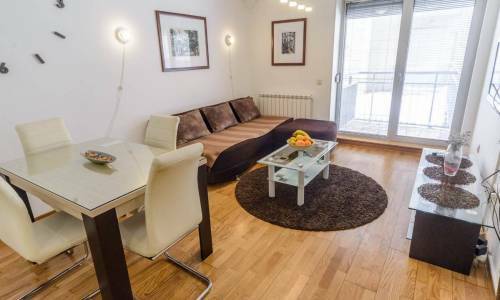 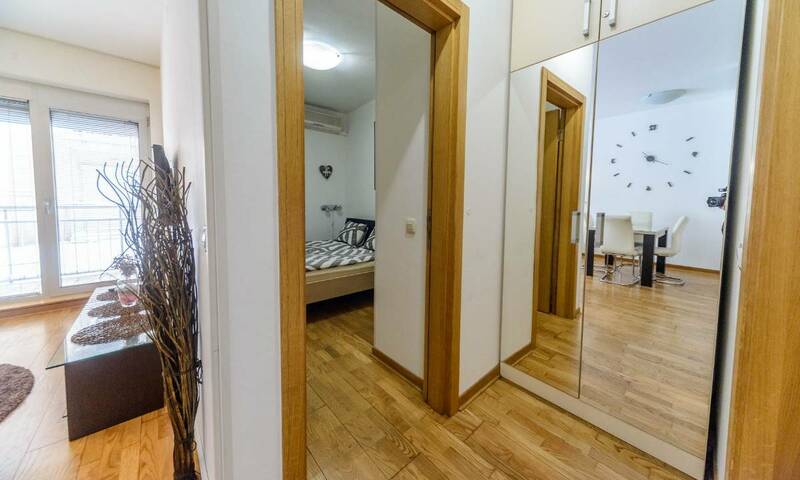 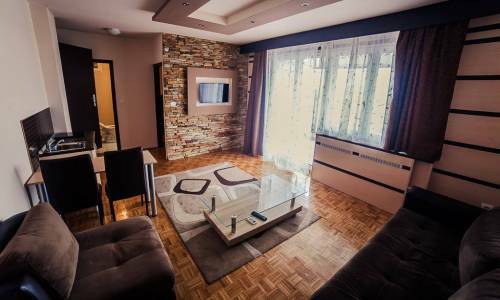 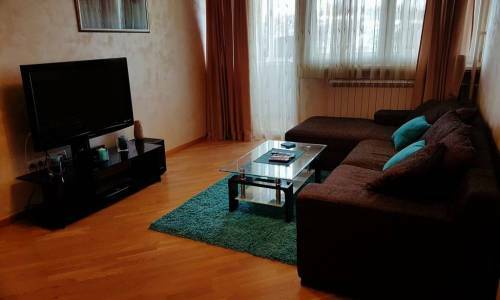 More specifically, the exact location of Zel apartment is the corner of Takovska and 27. marta streets, and in the immediate vicinity is Palilula market, the popular shopping area for our guests. 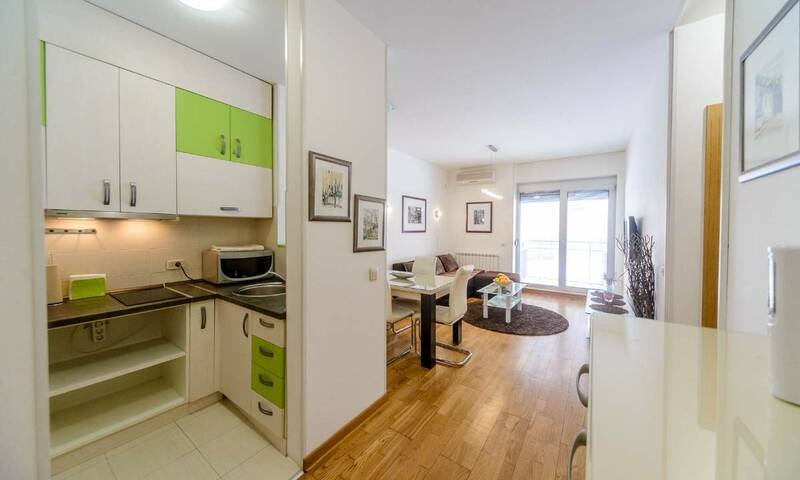 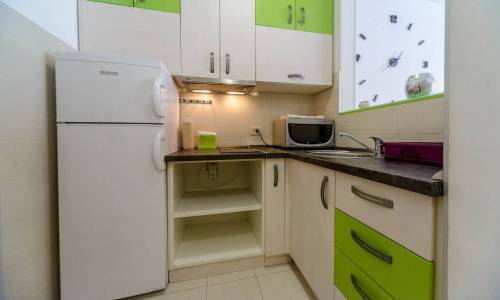 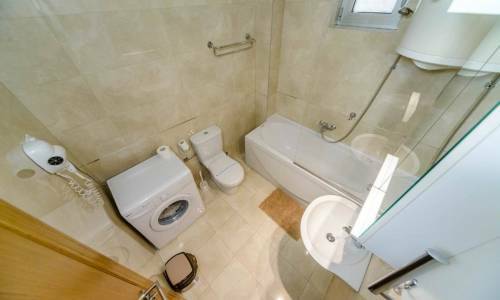 Apartment Zel offers two rooms, a terrace, kitchen and bathroom. 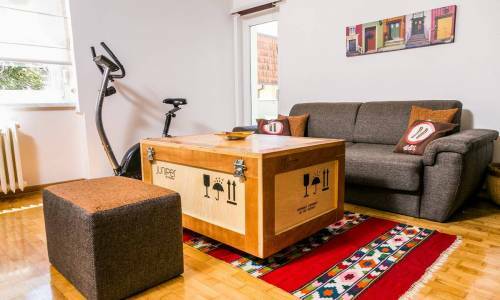 This accommodation is intended for 4 persons, two for a double bed and two for an L-shaped fold-out sofa. 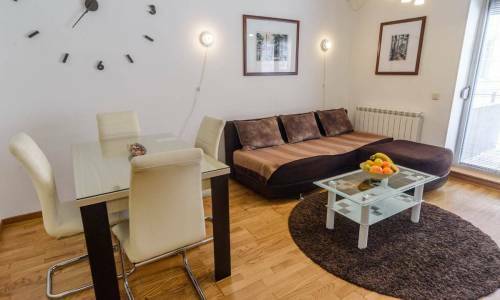 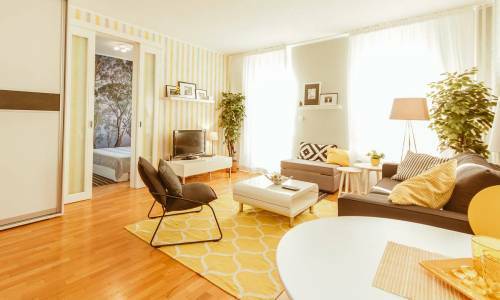 The bedroom offers another TV set, and in the living room there's a dining table with 4 chairs, placed right next to the bar which separates the kitchen from the living room. 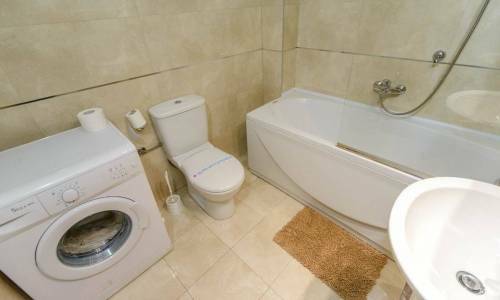 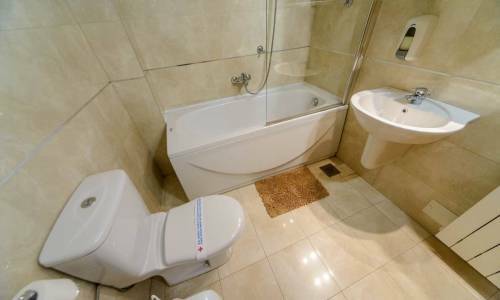 The terrace is very nice and useful, the bathroom is modern, comfortable and has a washing machine. 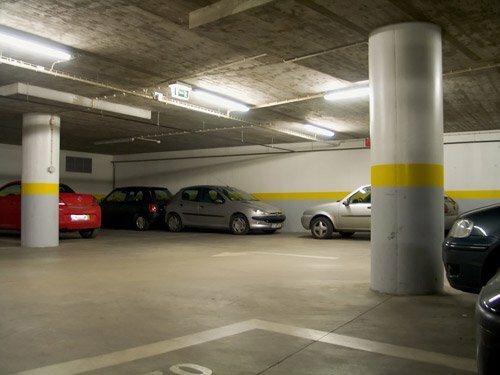 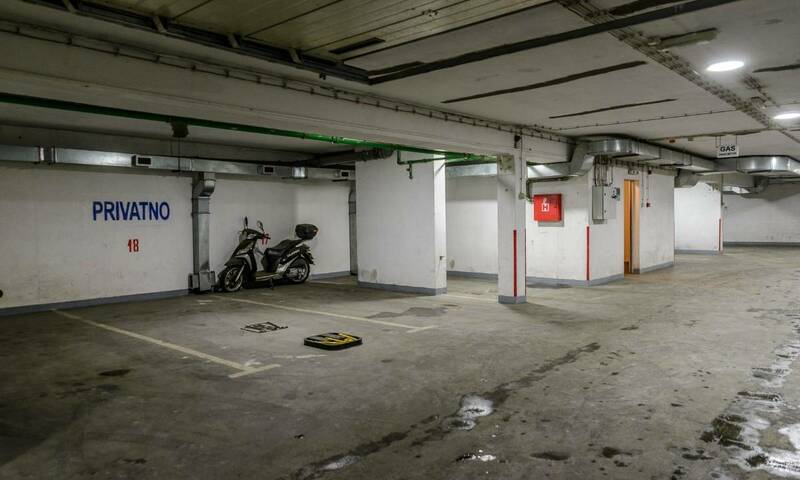 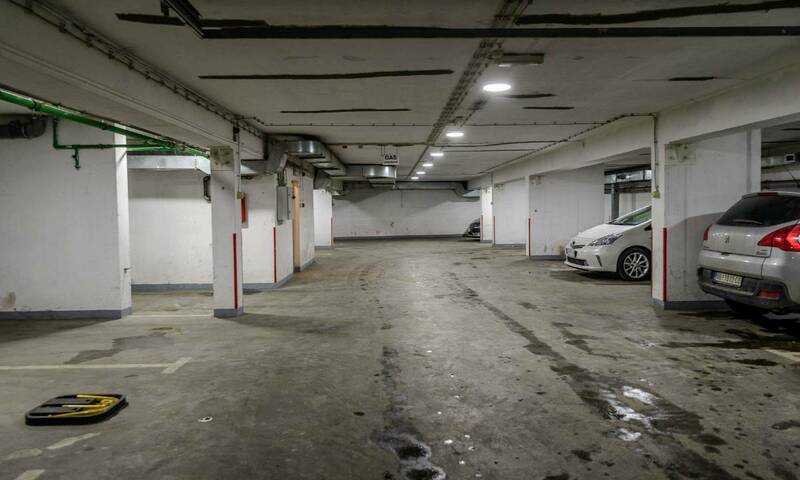 An important feature of this apartment is the garage inside the building, and you can use the elevator to get you from the apartment to the garage. 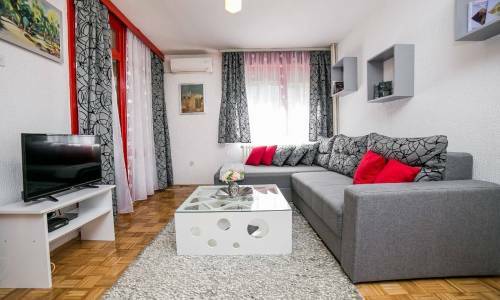 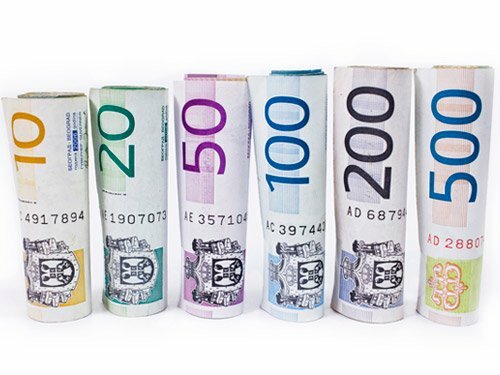 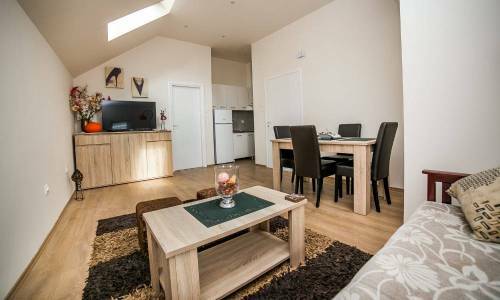 Zel really has something that many other apartments lack - the new building, nice interior and garage included in the overall, indeed affordable price of 40 eur/day.